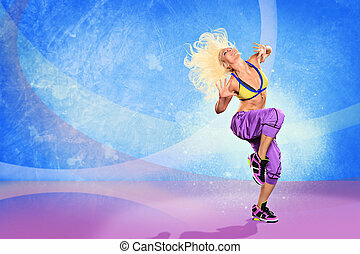 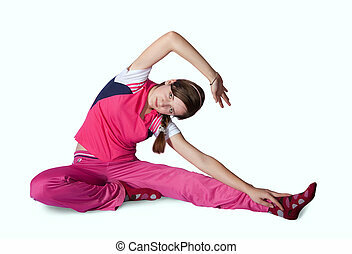 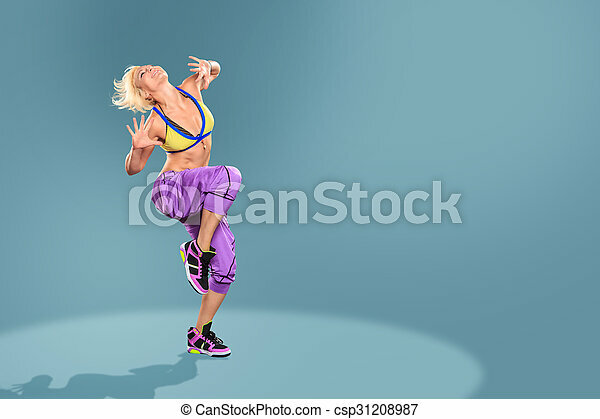 Aerobics girl. 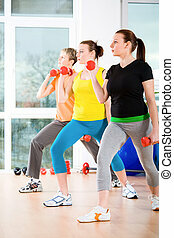 Young women at aerobics or fitness training. 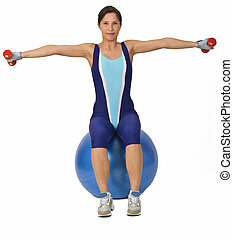 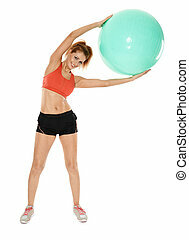 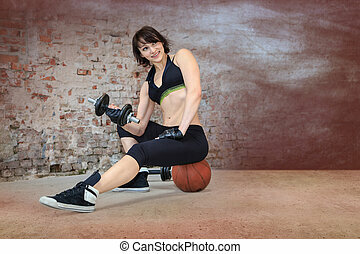 Woman doing bar-bells exercise while is sitting on a gym ball. 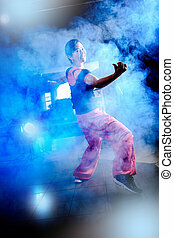 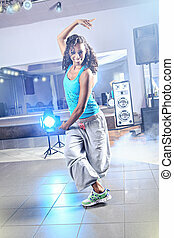 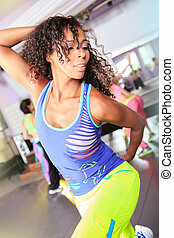 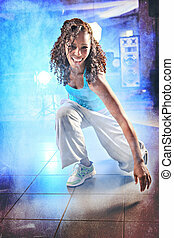 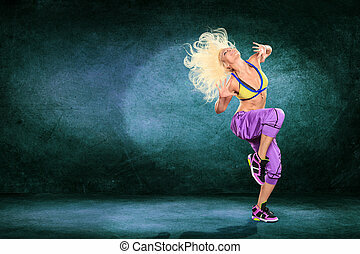 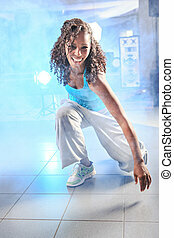 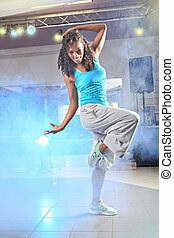 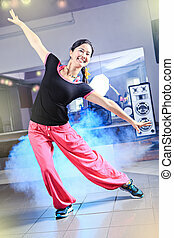 Portrait of a young beautiful woman doing aerobics.